The 31st of July will mark 100 years since the great man was born, and a few people want to celebrate. 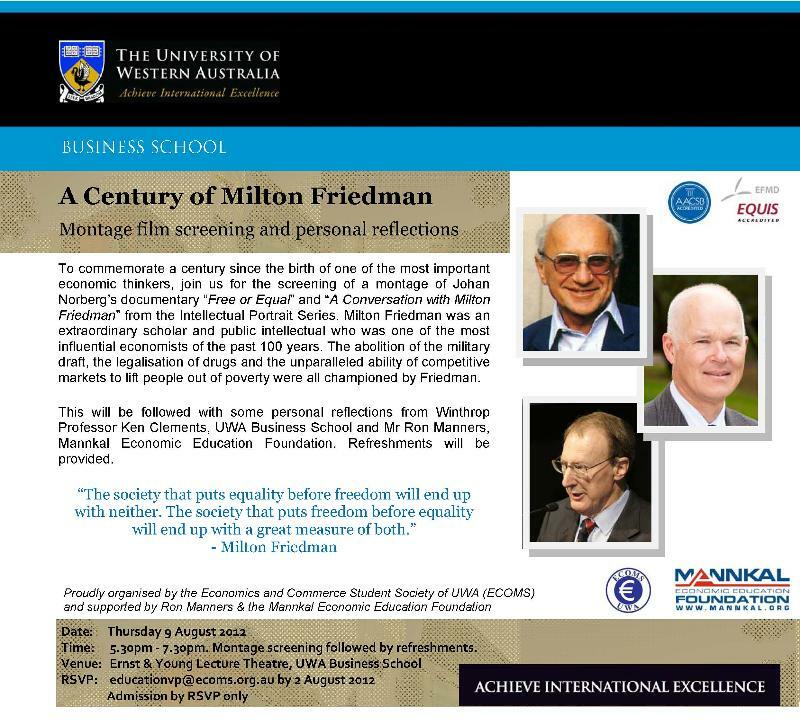 In Brisbane we will be having an ALS Friedman dinner, with Dr Alex Robson (Senior Lecturer in economics at Griffith University) and Senator George Brandis SC as a guest speaker. This entry was posted in Events and tagged Alex Robson, George Brandis, Milton Friedman. Bookmark the permalink. So how was the big night for Friedmanites? Worth going to for a nosh-up?